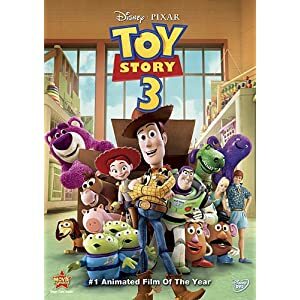 Toy Story 3 DVD + $5 Amazon Credit for $8.99! Happy Monday! Head over to Amazon and pick up your copy of Toy Story 3 on DVD for just $8.99! That's 70% off the regular price of $30. Shipping is even free when you spend $25 or more. Even better, if you haven't received it yet, you'll get a FREE $5 Amazon video-on-demand credit with this purchase! This will allow you to download movies and TV shows right to your computer or other connected devices.